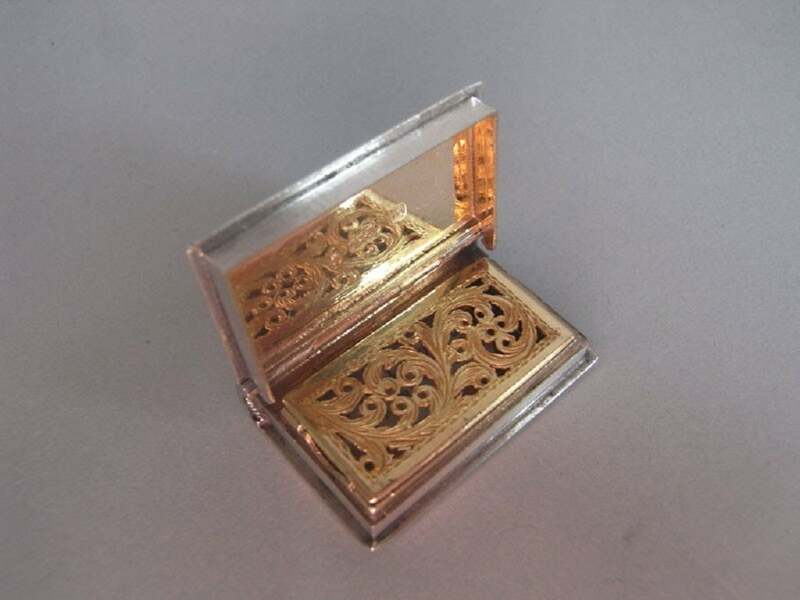 The vinaigrette is of narrow rectangular form and is modelled to simulate a book. 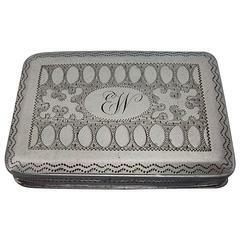 This example has a reeded spine and is engraved on the cover and base with tartan pattern. 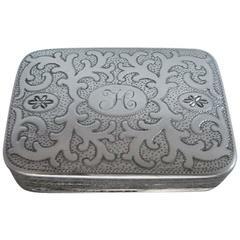 The cover also displays a rectangular cartouche engraved with script initials. 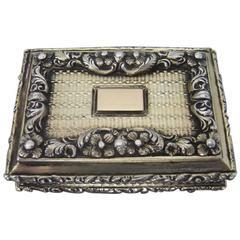 The interior is finely gilded and the grille is pierced and engraved with pluming scrolls. 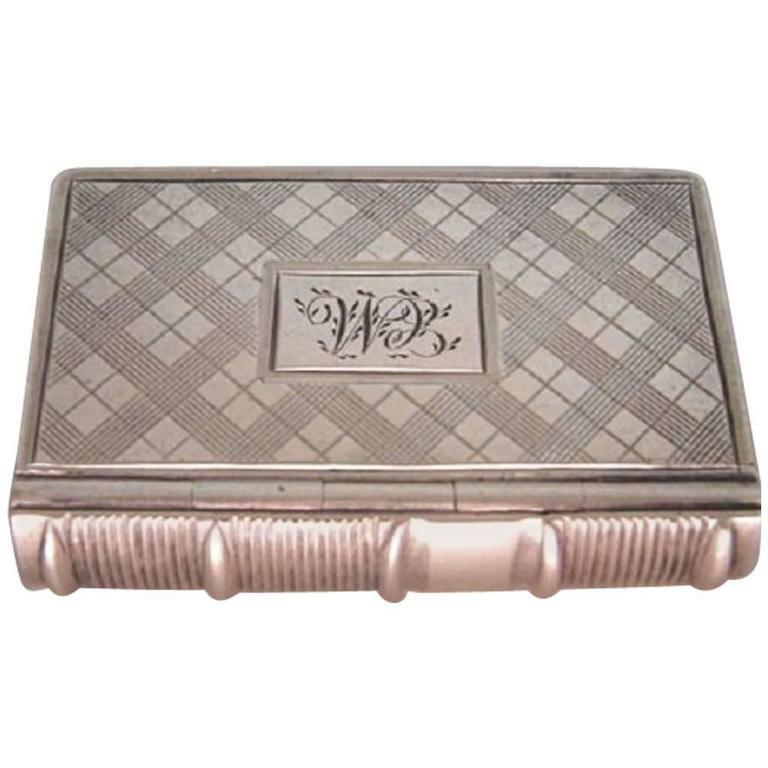 Measures: Length 1.4 inches, 3.5 cm. Width 0.9 inches, 2.25 cm. 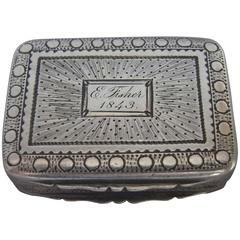 Antique Sterling Silver Gilt and Hardstone Vinaigrette by S. Mordan & Co.